After a topsy turvy start to the year, 2014 has finally sprung into life, with the FTSE 100 once again testing the 7,000 point mark and just about every retailer you can imagine queuing up to list on the London Stock Exchange. One person who will be slightly nervy about this is Mark Carney, the Governor of the Bank of England, who is quickly realising that life in the UK gets a little bit tougher than being compared to George Clooney. The Canadian, who charmed the City when he succeeded Lord King last year, has been under intense pressure in recent weeks with his landmark 'forward guidance' policy in tatters. UK Rate Hike in Spring 2015? When he first took over, he said the Bank would consider raising interest rates when the unemployment rate fell to 7%, which the Bank believed wouldn't happen until 2016. However, given the jobless rate now stands perilously close at 7.2%, people have been demanding answers and the response from Threadneedle Street has not been entirely convincing. I'm told the most likely outcome is that the first rise will come in spring 2015. Further increases will be gradual thereafter, with rates settling at 2-3%, rather than the 4-5% they tended to hover around before the financial crisis. Meanwhile, the backdrop of low mortgage rates, economic growth and Government schemes like Help to Buy continue to push house prices higher, with the average cost of a home now at a record high of £250,000 according to some measures. Even so, Treasury bean counters will have very little to play with when it comes to the Budget on 19 March. I'm told George Osborne is almost certain to meet his full-year borrowing target of £111bn this year, but only just. I'll update you on what I'm hearing closer to the time. 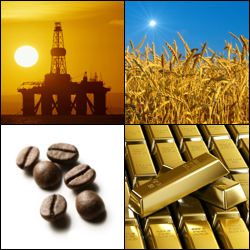 In terms of commodities, there are two major forces impacting the markets; one being the weather and the other geopolitics. The situation in Ukraine is serious because the country is one of Europe's major wheat producers and an escalation could see wheat prices soar, meaning the cost of living across Europe could get even more expensive. Gas prices are also on the rise, because the gas pipeline linking Russian gas to Western Europe passes through the country. Gold prices are also rallying sharply and the share prices of Russian energy companies are falling, potentially providing a buying opportunity. Brazil is currently suffering a drought and the major coffee and sugar producers saw their driest January for 60 years. The dry conditions caused Arabica coffee contracts to jump by almost a fifth. Experts I know say that floods are forecast to hit South America later this year, something that could cause even more damage to cropland. These concerns are likely to keep prices high, although soybean production is expected to remain resilient. Over the next couple of weeks, Vodafone investors will be receiving their bounty from the sale of its 45% stake in Verizon wireless. More than £10bn is expected to be reinvested in UK blue chips, with the smart money on high yielding shares such as Imperial Tobacco, BT Group, Shell and BP. However, even this could be at risk if the Ukrainian crisis continues. That's all for now, I'm off for a few lunches with my political contacts ahead of the Budget. Let's face it, the 2015 election is drawing closer and closer so expect a rabbit out of the hat, or maybe even two.